WASHINGTON -- In the highest-scoring game in franchise history, Daniel Murphy hit two early home runs and the Washington Nationals kept pouring it on against emergency reliever Jose Reyes and the New York Mets in a 25-4 rout Tuesday night. It was the Mets' most-lopsided loss in their 57-season history, worse than a 26-7 pounding by Philadelphia in 1985. Pitcher Tanner Roark hit a three-run double during a seven-run first inning and Trea Turner had four of Washington's 26 hits. The Nationals set the team scoring mark dating to their days as the Montreal Expos in 1969. Reyes made the first pitching appearance of his career, and the 35-year-old infielder got tagged for home runs to Matt Adams and Mark Reynolds in a six-run eighth. Throwing a fastball in the mid-80s mph and a curve in the upper 40s, Reyes gave up five hits and walked two. Reyes also plunked Ryan Zimmerman with a soft toss. After getting hit in the leg, Zimmerman playfully faked a charge toward the mound, drawing a laugh from Reyes. 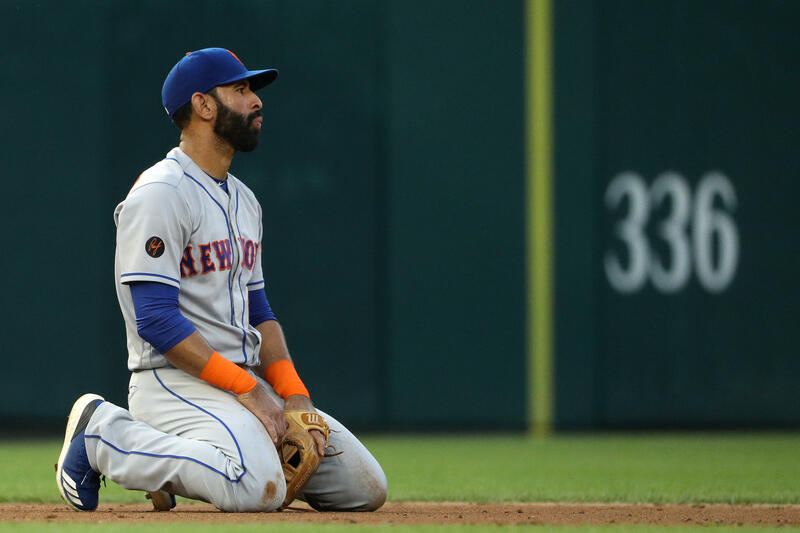 Fans and other game watchers mocked the team on Twitter, and eventually even the Mets had no other choice but to roast themselves on Twitter when all was said and done, CBS Sports reports. The team tweeted an emoji of a monkey covering its eyes.